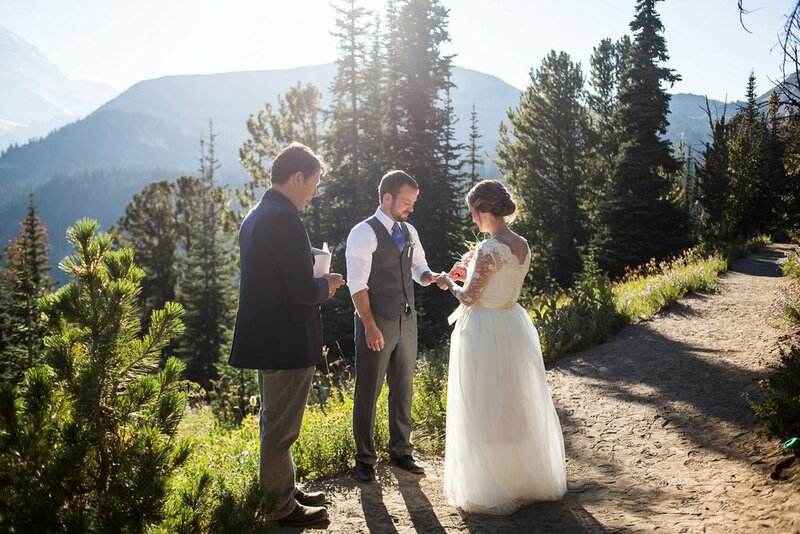 June and Tyler chose to elope and say their vows on a trail with a gorgeous view of Mt Rainier and the glacier water at the base. Their adorable son was also there to witness his parents get married and it was an incredibly special moment. It just felt right with these two, being in the middle of nowhere, with nobody else around, and absolutely blissful lighting.